Swimia.com has probably the most up-to-date database on the net about almost any Malaysia Swimming Pool. Classified by countries, regions and cities, it is painless to find the nearest pool at the places you visit. For Malaysia, it is possible to have a look at the pools we have gathered for you. Please get in touch with the sports centre in Malaysia to check which activities are being provided and their timetables, because Malaysia Pools may well have various rules and fares than other places. Traveling to Malaysia? This is the perfect spot on the net to discover locations to swim in Malaysia. Every day you happen to be not swimming you will be losing precious time in improving your skills to be a better swimmer! No much more excuses! Come across your nearest Malaysia Swimming Pool and tell us how it went. Please use the make contact with information provided at each pool profile to check if they're providing aquagym lessons, due to the fact is just not so common to determine an Aquagym in Malaysia. The most effective Malaysia Pools are located mainly in major cities, but it is also effortless to find public pools in rural areas. Do you realize of any Pools in Spain that really should be listed here? Contact us!. There are several factors why you should choose a heated swimming pool in Malaysia. The most essential one relies on the importance of keeping the body temperature stable. If the water is too cold, your body will try to warm it up and you will lose strength to swim appropriately. There are numerous alternative treatment options to chlorination, with terrific benefits that ensure much better water quality in the pool. One possibility is the mineralizer, which purifies water naturally and substantially decreases the chemicals applied and maintenance time. Try Chlorine Cost-free pools in Malaysia. Enjoy the best indoor pools in Malaysia and don't worry about the weather. These facilities are open all seasons and you can enjoy a swim at the same temperature every day of the year. One in the benefits of outdoor swimming in Malaysia is the possibility to sunbathe during the summer time season. Taking it with extra care, sunbathing is wholesome since introduces Vitamin D into the body, so the most beneficial choice seems to be switching among indoor and outdoor pools depending on the season. Swimming is a fantastic thought to keep your body active in the course of your visit to Klang (Malaysia), or even should you be a local. Swimia helps you to locate your closest Swimming Pool in Klang. Holding an estimated population of 833.571, Kampung Baru Subang is one of the most important cities in Malaysia. Check all of the Swimming Pool in Kampung Baru Subang and its surrounding region. Whereas Ipoh is one of the six most populous cities in Malaysia with nearly 673.318 residents, you shouldn't miss that one if you're going to Malaysia. Let us tell you a secret to switch off though you're in Kuching: just opt for a Swimming Pool in Kuching and plunge into the water! There's no a lot more effective process. It's difficult to visit Malaysia without dropping by Kuala Lumpur (with 1.453.975 residents). Presently Swimia is showing you all of the Pool in Kuala Lumpur and also the closest pools located in its vicinity. Without a shadow of a doubt, swimming in Johor Bahru may be the best solution to unwind after perform. 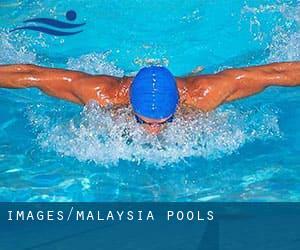 Take a couple of minutes to browse Swimia's catalog to find a Swimming Pool in Johor Bahru. Lot 4, Persiaran Perkilangan , Seksyen 21 , Shah Alam , Selangor (Postal Code: 40300). Swimmers like you reported Olympic size x 17 meters, 8 lanes, Outdoors. Unfortunately we do not have the email address of this Pool, but we can give you the phone number. Updated on 2019 Beside the Seberang Jaya Park and the Seberang Jaya Mosque , Seberang Jaya (Postal Code: 13700). This sports centre gives Olympic size, 8 lanes, Outdoors. For this Swimming Pool, only phone number is number here. Updated on 2019 3rd Mile Jalan Pantai , Port Dickson (Postal Code: 71000). Swimmers like you reported 25 meters adult-only lap pool, Outdoors. Phone number and e-mail address are number for this Swimming Pool. Corner of Jalan Sultan Ismail and Jalan Ampang , Sultan Ismail , Kuala Lumpur (Postal Code: 50450). Among all of the activities provided by the centre, for anybody who is considering swimming you will enjoy Olympic size (approximately), Outdoors. Just in case you want to get in touch with this Pool before dropping by, we only know the phone number. Updated on 2019 19, Lintang Paya Terubong Satu , Paya Terubong , Penang (Postal Code: 11060). This sports centre provides Olympic size, 9 lanes, Outdoors. Contact info for this Swimming Pool just like phone number and e-mail address are number. Updated on 2019 Jalan Tentram , Bandar Tun Razak , Kuala Lumpur (Postal Code: 56000). Among all the activities supplied by the centre, when you are thinking about swimming you might appreciate Olympic size, 8 lanes, Outdoors. Just in case you desire to contact this Pool before dropping by, we only know the phone number. 3 Jalan Tengku Ampuan Zabedah C9/C , Shah Alam , Selangor (Postal Code: 40100). Among all the activities offered by the centre, when you are interested in swimming you can expect to delight in 25 meters x 13 meters, 1.45 meters depth, 1.45 meters depth, Outdoors. Just in case you wish to get in touch with this Swimming Pool just before dropping by, we only know the phone number. Updated on 2019 KB No. 1 , Kuala Nerang , Kedah Darul Aman (Postal Code: 06300). Among all the activities offered by the centre, if you are thinking about swimming you will enjoy 50 feet (approx. ), Outdoors. Just in case you want to contact this Pool before dropping by, we only know the phone number. Updated on 2019 Persiaran Cinta Sayang , Sungai Petani , Kedah Darul Aman (Postal Code: 08000). This sports centre offers 25 meters, Outdoors. For this Swimming Pool, only phone number is number here. Lorong B, Jalan Stutong, Taman Satria Jaya , BDC , Stampin , Kuching , Sarawak (Postal Code: 93350). Swimmers like you reported Olympic size, 8 lanes, Outdoors. Phone number and e mail address are number for this Swimming Pool. Updated on 2019 Jalan Tin Dr. Awang , Bayan Lepas , Pulau Pinang (Pinang Island) (Postal Code: 11900). Among all of the activities offered by the centre, for anybody who is interested in swimming you'll delight in Olympic size x 25 yards, 10 lanes. Just in case you desire to contact this Swimming Pool prior to dropping by, we only know the phone number. Jalan Temenggong Datuk Oyong Lawai , Miri , Sarawak (Postal Code: 98000). Swimmers like you reported 25 meters, 3 lanes in a free-form pool, Outdoors. Unfortunately we do not have the email address of this Pool, but we can give you the phone number. Updated on 2019 Jalan SS 13/1 , Persiaran Kewajipan , Subang Jaya , Selangor (Postal Code: 47500). This sports centre offers Olympic size, Indoors. For this Swimming Pool, only phone number is number here. Sultan Azlan Shah Ipoh Sports Complex , Jalan Kmpleks Sukan , Ipoh (Postal Code: 31400). This great and large sports centre lets professional swimmers like you enjoy Olympic size, 8 lanes, Outdoors. Additionally, within these facilities you can try 35 meters, Outdoors. Unfortunately we do not have the email address of this Swimming Pool, but we can give you the phone number. Updated on 2019 Jalan Teluk Datai , Pulau Langkawi , Kedah Darul Aman (Postal Code: 07000). This great and large sports centre lets professional swimmers like you enjoy 23.7 meters x 14.5 meters, 1.7 meters depth, 1.7 meters depth, Outdoors. Additionally, within these facilities you can try 17.4 meters x 8.4 meters, 1.7 meters depth, 1.7 meters depth, Outdoors. Phone number and e-mail address are number for this Pool.